. . .Continue to read rest of article (PDF) (begins on pg. 16). 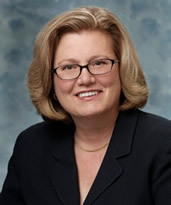 Mary Wickens, JD, CFE has over 35 years experience in the Healthcare Insurance, Managed Care, and Compliance Industry. Her experience includes advising and counseling health care providers, insurers, government contractors, and others in compliance, ethics, fraud and abuse, Medicare, Medicaid and Federal Employees Plan, managed care, and other matters. Ms. Wickens is a former compliance officer for a major health insurer and former legal and compliance specialist for a CMS Medicare Program Safeguard Contractor. Also a former operations director for government programs (Medicare Part C, Medi-gap, and FEHBP) for a major HMO, she is experienced with government audits and investigations, commercial audits, as well as self-reporting and internal investigations.